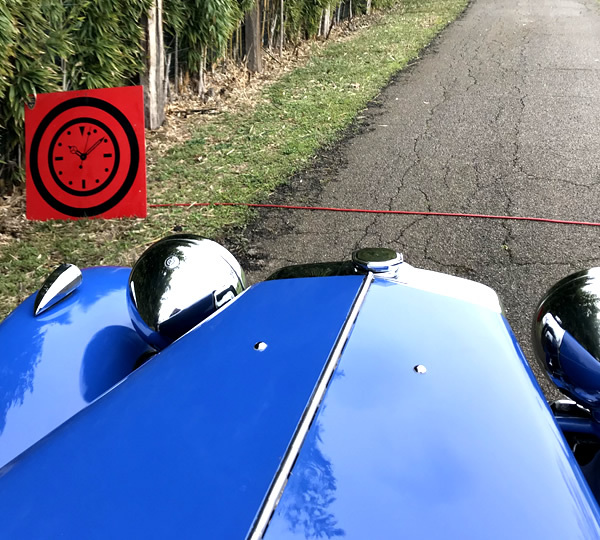 We create Professional Road Books for every type of event, including Time Trials, itinerant Rallies and Tourist Events. Our system offers numerous advantages, designed to take into account the problems of the Organiser during the event; the experience gained in the role of a direct competitor and navigator and a full awareness of the organisational issues allow us to work in step with the Organisers, always keeping in mind their needs and those of the participants who must then use the road book. 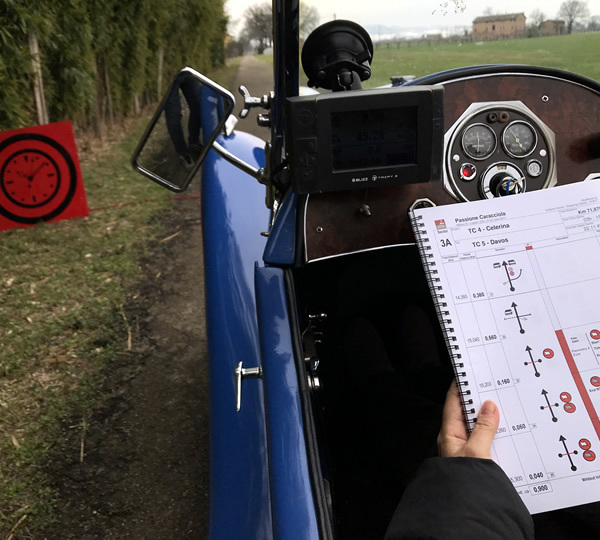 Our road books have been tested and are considered among the best by the “Progetto Mite” school for blind navigators for rallies and regular races. They highlighted the fact that the accuracy of the distances on a map, not affected by the calibration of the tools together with the useful information recorded concisely and in an essential manner perfectly satisfy the need of those who cannot read and therefore rely on an instrument that must be as accurate as possible and easy to read. This way you can concentrate on taking care of the organisational aspects of your Event, leaving the creation of the road book, a time-consuming task that requires onerous precision, to others. With good planning, in relation to the length of the route, you can reduce on-site inspections to a minimum,. In fact, often just two on-site inspections can be sufficient: one initially and one at the end for the necessary checks before going to press. The great and exclusive advantage of our system is that you can quickly change the route at any point, even by many miles, without it causing disruption to the work already done, with the certainty of not entering new errors. You can even do this a few days or hours before the event itself, without further on-site inspections. Traditional systems have many limitations, above all the real risk of entering new errors and thus having to deal with more burdensome checks. 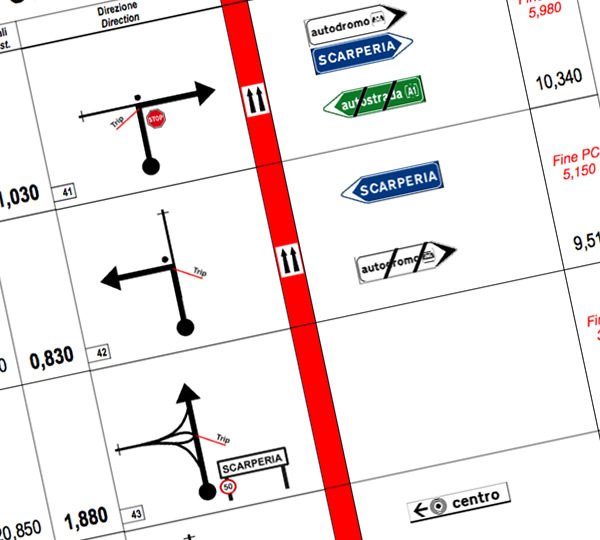 Any supplementary pages are quickly produced automatically if the road book has already been sent to print and these can be perfectly inserted into the previous version. 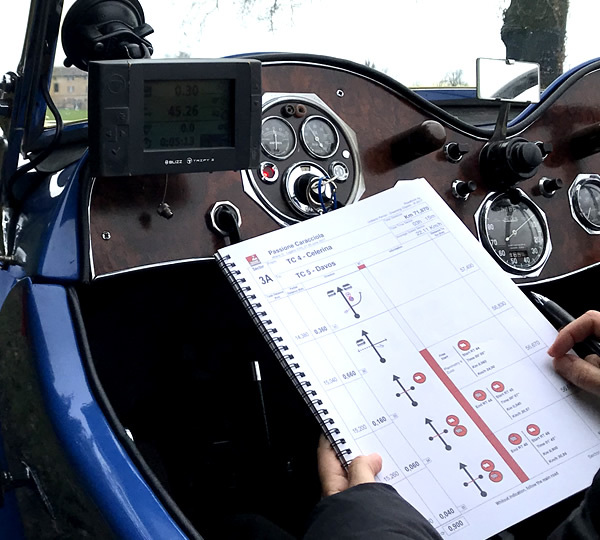 Another distinctive feature is the possibility of making the road book completely at a distance, without our direct on-site inspections, by working together with appropriately trained local Organisers, thus considerably reducing travel costs. Give the participants of your Event a hard copy road book that meets the highest standards and complies with national and international regulations (FIA and FIVA). An innovative service for those without a navigator and thus giving important added value to your event. This is not a tool for reducing the role of the navigator, as some may think, rather it is a service that adds value to the event, allowing people who are alone, without a navigator and who would be forced to abandon the event in other circumstances, to take part and thus avoiding loss of participants for the Organiser. It is very common to find competitors who are having difficulty finding a navigator and who are thus forced to give up the pleasure of participating in an event; we give the organiser the opportunity to allow these competitors to take part in their event as if they had a loyal navigator at their side, with great satisfaction on the part of everyone. We can make a multilingual version on request with distances given in both Miles and Kilometres. 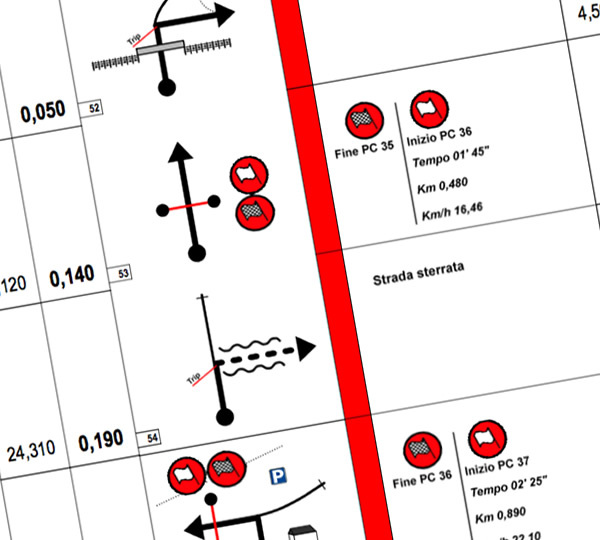 All the technical annexes are perfectly incorporated into the road book because they are automatically extrapolated. Do you also want to print it? If you wish, we can supply the road book already printed and bound with a metal ring spine, with a customised cover and including all the internal pages relating to the event.